Addis Ababa, Ethiopia 4th April, 2019 The ILO and AUC organized a ministerial side event to examine the implications of the Global Commission’s report on the Future of Work. 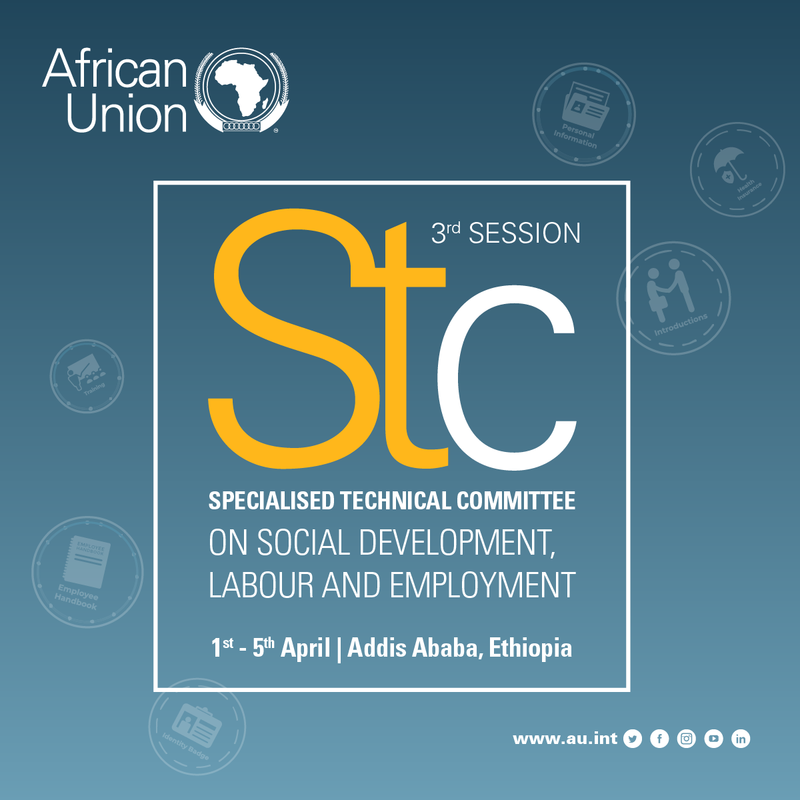 The ministerial side event is part of the third Ordinary Session of the African Union Specialized Technical Committee on Social Development (AU-STC), labour and employment that is taking place in Addis Ababa, Ethiopia from 1-5 of April 2018, under the theme “Poverty Eradication through Strategic Investment at the National and Regional Levels towards Social Development, Labour and Employment in Africa”. The event hosted ministerial delegates from Cameroon, Ethiopia, Morocco, Namibia and Rwanda as well as workers and employers representatives from various African countries. The ministerial side event was inaugurated with an opening remark from H.E. Amira Elfadil, Commissioner for Social Affairs of the African Union Commission (AUC) in which he called up one state delegates to play their role in creating sustainable environment for inclusive growth. At the heart of the ministerial event was the presentation of the Global Commission Report on the Future of Work followed by a ministerial panel discussion including the Ministries of Labour and Employment from Ethiopia, Morocco and Nigeria as well as officials from African employers and workers’ organizations and youth representative. “The ILO particularly welcomes the Global Commission Report on the Future of Work. This report brings to the fore realistic suggestions to ensure that we are able to transition into the Future of Work” said ILO Assistant Director General and Regional Director for Africa, Mrs. Cynthia Samuel Olonjuwon, at the opening of this side meeting, She also highlighted ILO’s commitment to work with constituents to carry forward the recommendation that came out of the Global Commission Report on the Future of Work. The panel discussed the key challenges facing the world of work in Africa and how these may be addressed in the future. Discussions on how to take forward the recommendation that came out of the Global Report at the regional and national level was also covered. The recommendations from the Global Report on the Future of work included lifelong learning for all, supporting people through transitions, transformative agenda for gender equality, universal social protection through the strengthening of systems, establishing a universal Labour Guarantee, expanding time sovereignty, revitalizing collective representation, Technology for decent work, Transforming economies to promote decent and sustainable work.